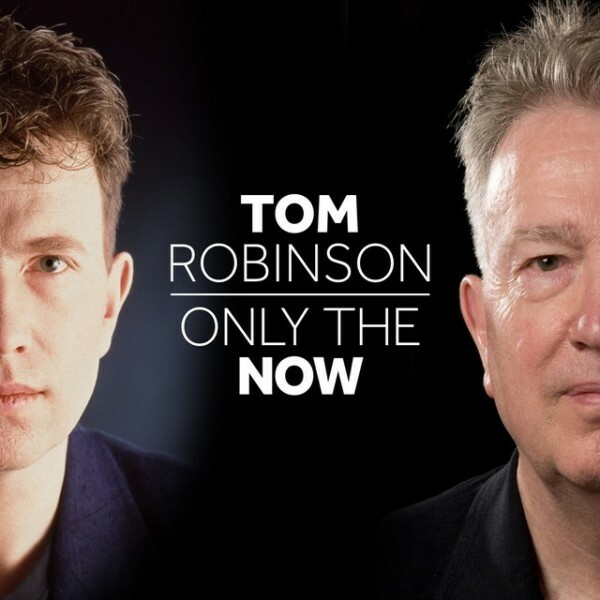 Three years later and Mr Robinson, who has never stopped writing songs despite not recording any new material for almost two decades, decided to do exactly the same thing, recording ‘Only the Now’, his first long player since ‘Having it Both Ways’ way back in 1996, helped in no small part by donations from friends fans and followers via Pledge Music. Robinson also managed to enlist the production services of the much sought after Gerry Diver, not to mention a few other notable guest appearances lending their services on the record. On first listen to opening track ‘Home in the Morning’ one immediately realises the fire still burns bright in the Robinson belly, Diver’s rootsy tendencies forming the perfect foil to help vent Robinson’s creative spleen for the first time in 20 years as lush strings combine with bittersweet emotions giving the track a distinctly music hall feel. The sound on the anti-religious tirade ‘Merciful God’ appropriately takes us back to the cradle of civilisation, decidedly middle-eastern in feel, the ranting continuing on protest song ‘The Mighty Sword of Justice’ as our hero, helped in no small part by left leaning legend Billy Bragg, informs us what we already know regarding the very serious problem concerning the disparity in the legal profession’s regard for rich and poor, the litany of high profile miscarriages of justice referenced in the lyrics, markedly contrasting with the sun drenched calypso sound….we even get Colin Firth reading the news before the opening bars. ‘Don’t Jump, Don’t Fall’ is an elegiac ode to the victim of a broken home, leaving the listener on tenterhooks at the end, full of uncertainty as to what happens next. After that one needs a light hearted moment to counteract and ‘Holy Smoke’ provides just that, the subject matter examining the moral dilemma when one skins-up using the wafer thin page contained within a copy of The Bible…….why didn’t I ever think of that? The positively exuberant shuffle of ‘Cry Out’ features John Grant as the guest vocalist whilst ‘Never Get Old’ mourns the passage of time as the now 65 year old is perhaps contemplating his own mortality, further endorsed on the slightly self-indulgent cover of the fab four’s ‘In My Life’ as folk legend Martin Carthy lends a hand on vocals. ‘One Way Street’ is yet another foray into music hall, a wistful nod to Robinson’s motor biking past, Nadine Shah and Ian McKellen, adding backing vocals and spoken word respectively before the bile factor is ramped up once more for ‘Risky Business’ a timely swipe at the free market excesses as Robinson and guest singer Lee Forsyth rage ‘The regulators can kiss my arse’. Fittingly, the album’s dreamy title track brings things to a close, Tom choosing to sign off with a little more introspection. So nice to have you back in the saddle sir!